Why some families choose Catholic School. Choosing the best school for your children is a complex process. 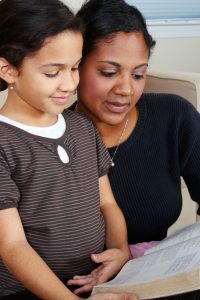 Like most parents, you want to make sure that your children are set on the best path to success. Academics are often a big part of the decision-making process. And many public schools offer excellent academics. But what about the emotional, social, and spiritual development of a child? Many Catholic schools’ missions are to teach these important life skills in addition to the academics. Today, we’d like to discuss reasons why parents might choose to go the Catholic route. By sharing faith, we teach students that education and religion do not have to be practiced separately. Rather, students learn that their Catholic faith is something that can be interwoven into all aspects of their lives, even things like schoolwork and homework. For many parents, a Catholic education is appealing because the school day serves as reinforcement of what is being taught at home. When your child is enrolled in a private Catholic school, you do not need to worry about lessons of faith that are taught at home being contradicted in the classroom. Parents and teachers work together to build strong family units rooted in the Catholic faith. Contributing to this academic success is the smooth advancement of grade levels which Catholic schools offer, as most of them are K-8 schools, starting as early as kindergarten and continuing all the way through eighth grade. This continuity creates a support system for students which helps propel them to academic success in high school. Is Catholic School Right for Your Family? The choice of which school is best for your family is a very personal decision. Catholic schools strive for academic excellence through faith-based learning and offer many advantages to students and families. We hope the advantages outlined above are helpful as you navigate your way through this difficult decision. If you would like to learn more about what Catholic schools such as Saint Cecelia may offer your children, please feel free to schedule a visit with us.